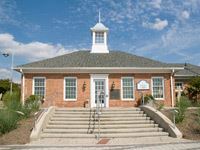 Journey back to the pivotal days of the War of 1812, also called “America’s Second War of Independence.” Visit charming Southern Maryland towns, the thriving and scenic Baltimore Harbor, and sites surrounding the nation’s capital that were critical in defending America’s fledgling independence. As fighting continued throughout the summer of 1814, Maryland’s brave defenders not only stood strong against British invaders up and down the Chesapeake Bay, but also inspired the poem that would become our National Anthem. Today, you can explore the prospering towns and the beautiful Bay landscape that once witnessed the terror and destruction of war. Where local citizens mustered the courage to stand up for their homes, their towns and their freedom, a new nation, still forging its identity, found solidarity in its defense. This route is part of the Great Chesapeake Bay Loop, and provides ways to explore the authentic Chesapeake. After British Navy ships blockaded the Chesapeake Bay, Revolutionary War hero Joshua Barney was commissioned commodore of a fleet of lightly armed, shallow-draft barges, expected to be maneuverable enough to defend the Chesapeake’s rivers and port towns. Barney’s “Chesapeake Flotilla” would be tested during the summer of 1814. Begin at Solomons, a marina-rimmed fishing village that boasts seafood and other dining options and a number of attractions. The exhibits at the Calvert Marine Museum feature war artifacts and trace troop movements as Commodore Barney fought against a larger and more heavily armed British force. Stop by the Solomons Regional Information Center to learn about the area, and then spend the afternoon at Annmarie Garden, a 30-acre public sculpture park affiliated with the Smithsonian. Enjoy a sidetrack to Sotterley Plantation, a 300-year-old Tidewater plantation house that overlooks the Patuxent River and was the site of a British raid during the War of 1812. A rare slave cabin, gardens, nature trails and outbuildings are found on 100 acres at this National Historic Landmark. 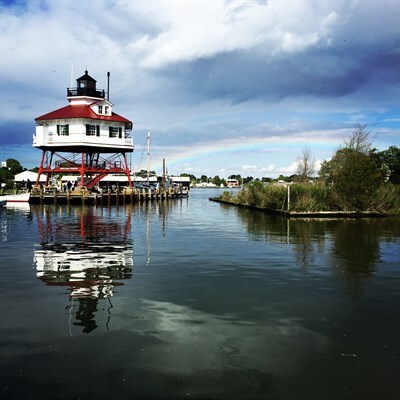 On your way to Jefferson Patterson Park and Museum in St. Leonard, take the opportunity to hunt for fossils at Calvert Cliffs State Park or go fishing at Flag Ponds Nature Park. At the Jefferson Patterson Park and Museum, you will learn about the two battles that occurred in June 1814 and almost resulted in the capture of Barney’s flotilla. The park hosts annual War of 1812 events, including re-enactments. For a closer observation of the region’s unique environment, venture into nearby Prince Frederick and hike along a boardwalk through the Battle Creek Cypress Swamp Sanctuary. 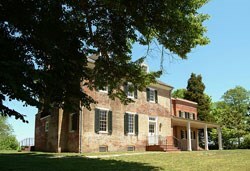 By July 1814, Royal Marines occupied Chaptico, Leonardtown and other Southern Maryland locations, raiding private homes and confiscating supplies. The following month found more than 4,000 enemy troops probing deeper along the Patuxent River, seeking a suitable landing spot for an invasion of Washington, D.C. They chose Benedict, a riverside town now as well known for its War of 1812 history, as for its fishing, sailing and seafood restaurants. The AnnMarie Sculpture Garden features a wooded walking path that meanders past sculpture, including works on loan from the Smithsonian Institution and the National Gallery of Art. The breathtaking Calvert Cliffs at Lusby are reached via hiking trails through lush woods and wetlands in Calvert Cliffs State Park. Fort McHenry National Monument and Historic Shrine is a Baltimore must-see destination. 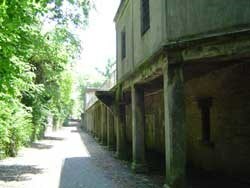 Scenes of the fort are described in Francis Scott Key's poem, The Star-Spangled Banner. Time your visit for the Battle of North Point “Defenders Day” re-enactment that is held at the state park in early September, followed a week later by a “Star-Spangled Banner Weekend” at Fort McHenry. This idyllic view of the sunrise over Benedict on the Patuxent River decries the chaos of March 1812, when the British landed here to invade Washington, D.C. The British army and navy met up in Upper Marlboro along the Patuxent River. Visit Mount Calvert Historical & Archaeological Park, where you’ll find a spectacular view and access to the river, as well as exhibits. Upper Marlboro is also popular among equestrians who attend events at The Show Place Arena & Prince George’s Equestrian Center and horseback ride on miles of trails in local parks. At Battle of Bladensburg Visitor Center and Waterfront Park, you can see the Anacostia River Bridge, near the site where British forces crossed to attack American defenses in August 1814. In the battle’s aftermath, Rosalie Calvert volunteered slaves to bury the dead, and then collected weapons and other items. Riversdale, as her Federal-period plantation home is known, now offers docent-guided tours and is a favorite place for special events. British forces soon marched unopposed into Washington, D.C., and burned many of the public buildings before returning to the town of Benedict to re-embark their ships. This route takes you into the Anacostia Trails Heritage Area, past College Park, Greenbelt and Beltsville. Attractions in this area range from performing arts venues and an agricultural research center to a NASA space facility and aviation museum. The War of 1812 lit up Baltimore in September 1814. Expecting to cruise into the city’s harbor with little resistance, a British fleet was instead frustrated by Lt. Col. George Armistead and his men defending Fort McHenry. Their courage was witnessed by Francis Scott Key, a lawyer who had been detained on board a cartel vessel after facilitating an American prisoner’s release. Throughout the night, the British bombarded the fort with Congreve rockets and mortar shells, but by dawn’s early light, Key saw a large American flag — measuring 42 feet by 30 feet — still waving over the fort’s ramparts. Visitors to the Fort McHenry National Monument and Historic Shrine can hear Key’s “Star-Spangled Banner” during a presentation at the Visitor Center and walk the ramparts of the star-shaped fort. Meanwhile, the earliest original manuscript version of Key’s poem is housed nearby at the Maryland Historical Society. 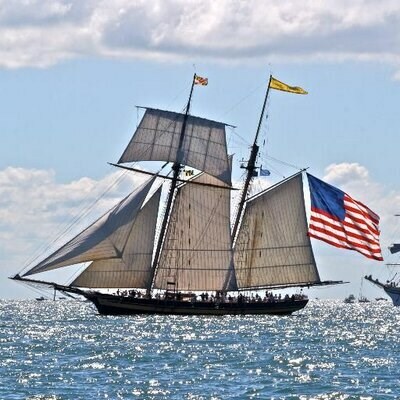 Also in Baltimore is the home of Star-Spangled Banner flagmaker Mary Pickersgill and the Inner Harbor-based Pride of Baltimore II, a re-creation of an 1812-era topsail schooner used by privateers as a warship to fight the British. Just prior to the naval bombardment of Fort McHenry, about 5,000 British troops landed at Fort Howard in Baltimore County, southeast of the city, and engaged American troops in a battle on the North Point peninsula. North Point State Park’s Defenders Trail follows the route of the British as they progressed toward Baltimore before confronting the city’s defenses and being compelled to retreat. From Baltimore, you can continue on into the town of Frederick to discover more about Francis Scott Key (a hometown hero) and visit Mount Olivet Cemetery where he is buried. Hear more about the War of 1812 in Havre de Grace, Annapolis and across the Chesapeake Bay Bridge on Maryland's Eastern Shore. St. Michaels, for instance, has been called "The Town that Fooled the British" ever since a summer night in 1813 when, to misdirect a British naval bombardment, residents supposedly extinguished all of their lights and hung lanterns in trees north of town. Tour the exhibit barn at Jefferson Patterson Park & Museum to experience the British invasion on the Chesapeake during the War of 1812 from the viewpoint of locals who endured the turmoil. Baltimore’s financial district is a mix of old and modern architecture, with the highlight being Charles Center, a striking metal and glass building designed by modern architectural pioneer Ludwig Mies van der Rohe. Plan your trip to take part in local events, such as the Battle of Bladensburg reenactment held in Bladensburg Waterfront Park.